Paris (AFP) – President Emmanuel Macron’s campaign for a “French Renaissance” kicked into overdrive Monday as his government welcomed 140 multinational business leaders before this week’s jamboree of the rich and powerful in Davos. The business-friendly president was to give a dinner speech for the executives — from such heavy hitters as Toyota, Coca-Cola, Google and Facebook — gathered at the Versailles chateau near Paris for an event billed as a warm-up for Tuesday’s opening of the World Economic Forum in the Swiss mountains. Macron himself travelled to Toyota’s car factory in Onnaing, northern France, to mark the Japanese company’s new 300-million-euro investment at the site. “If Toyota decides to invest 300 million euros and create 700 permanent jobs here, it’s because you are good at what you do,” Macron said while posing for selfies with employees. In his first months in office he pushed through reforms to the country’s rigid labour laws and sharply cut wealth taxes and levies on capital gains. “More than three billion euros worth of projects have been announced” said government spokesman Benjamin Griveaux. Some of those projects would never have seen the light of day without Macron’s pro-business reforms, Griveaux added. 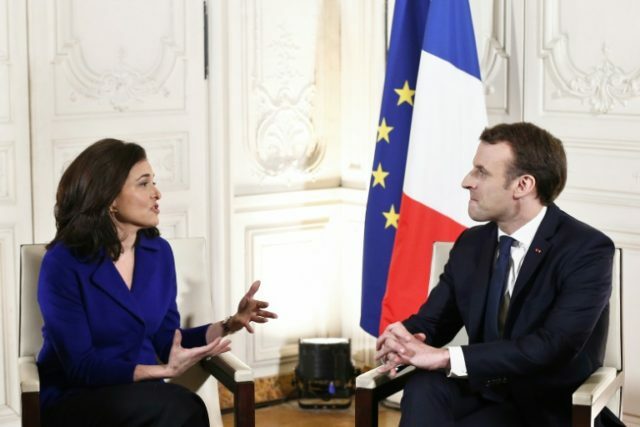 The French government is also hoping to capitalise on uncertainties elsewhere, including the Brexit negotiations and US President Donald Trump’s unpredictability. But some executives are keeping their enthusiasm in check, saying the bigger challenges of cutting France’s huge debt pile and its public spending — and pushing through the tax cuts for businesses — still lie ahead. “We’re still waiting to see more clearly on government reforms,” Pierre-Andre de Chalendar, CEO of the glass and building materials giant Saint-Gobain, told Le Figaro daily Monday. France’s deficit for 2017 is forecast to finally fall under the eurozone limit of three percent of GDP, for the first time in ten years. “Even with a deficit under the three percent limit, France still has one of the worst financial situations among almost all its eurozone partners,” Didier Migaud, president of France’s Court of Auditors, warned Monday. While Macron has been given much of the credit for boosting France’s standing on the international stage, foreign investment had already begun to pick up before his May 2017 election. But such investments have failed to make a significant difference on the jobs front, with France’s unemployment rate still stuck at 9.7 percent — nearly twice that of Britain or Germany. In tax terms, France has also benefited little from the presence of tech giants such as Google and Facebook — a bone of contention for Macron, who is pushing for them to contribute more to state coffers. The Versailles conference came the day before leaders from 60 countries and 1,700 businesses start descend on Davos for the world’s most exclusive talking shop.